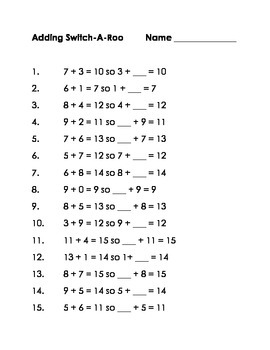 Teach students the commutative property early! Basics such as 4 + 3 = 3 + 4 are important even in primary grades. Practice or assess with this Adding Switch A Roo.